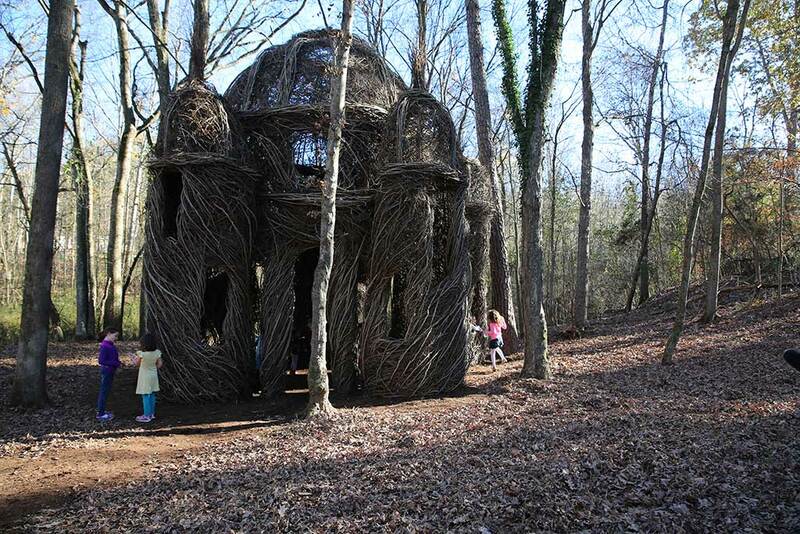 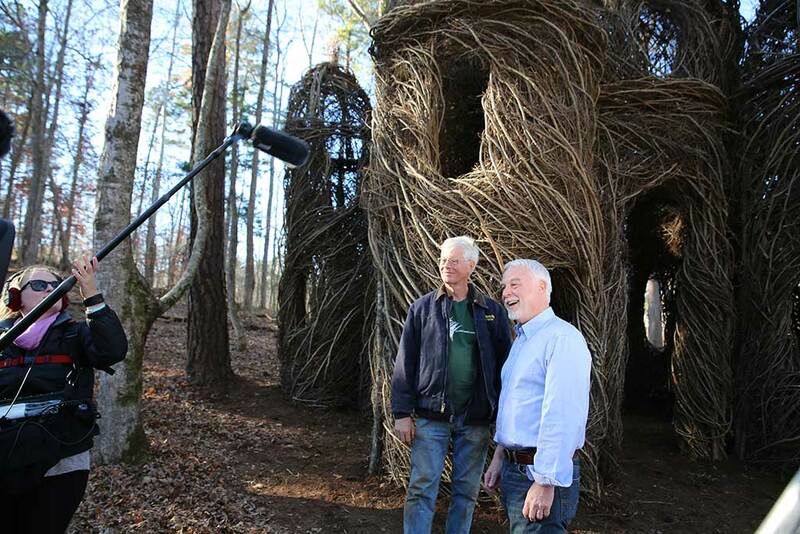 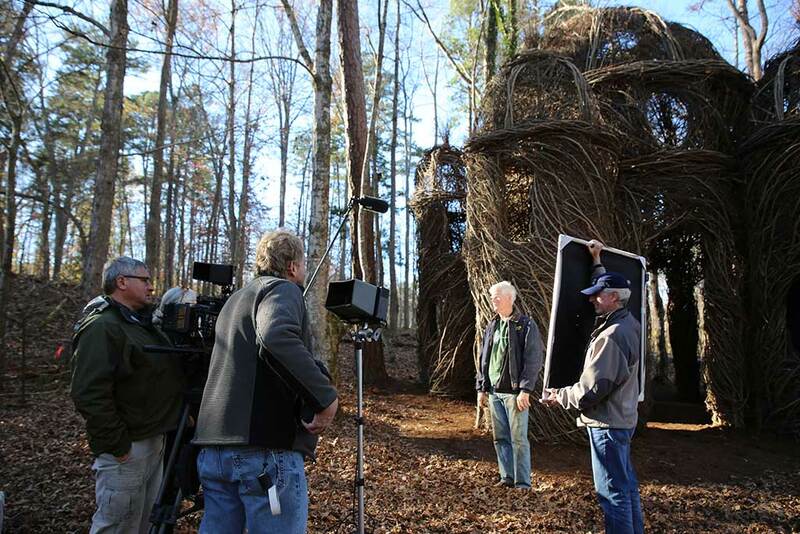 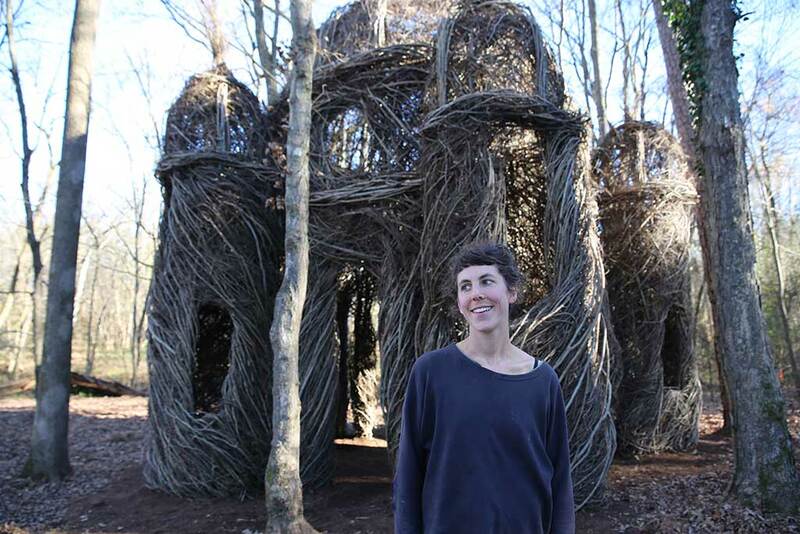 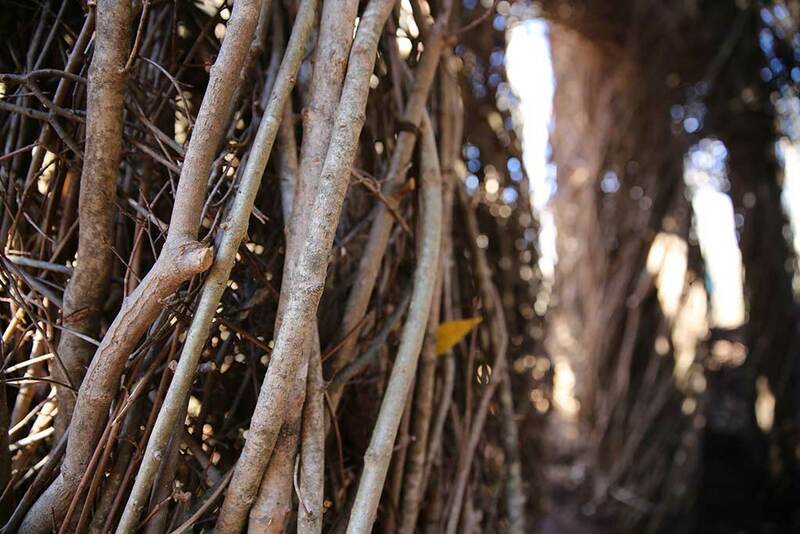 In November 2015, the Craft in America crew documented Patrick Dougherty’s sculpture, A Sight to Behold, located next to the River Walk in Hillsborough, North Carolina. 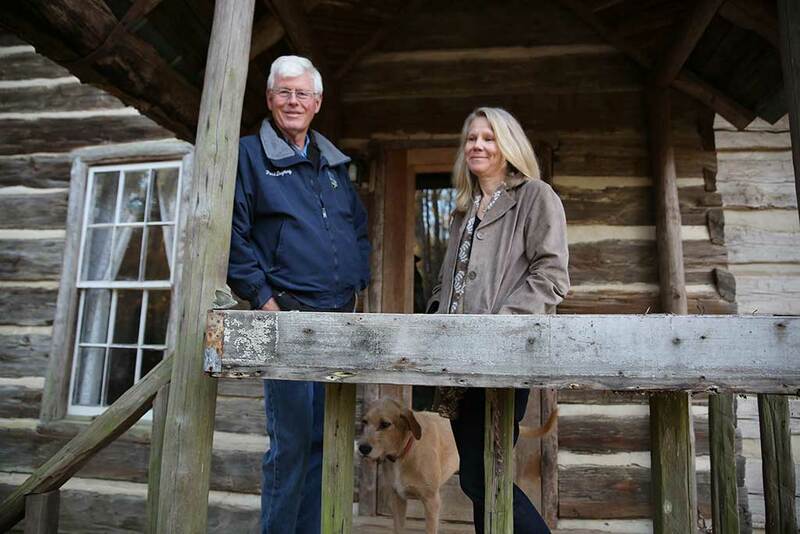 Thousands of saplings were collected (Southern sugar maple, sweetgum, and elm) from Ayr Mount, a Federal style plantation house in Hillsborough, about a mile from the River Walk. 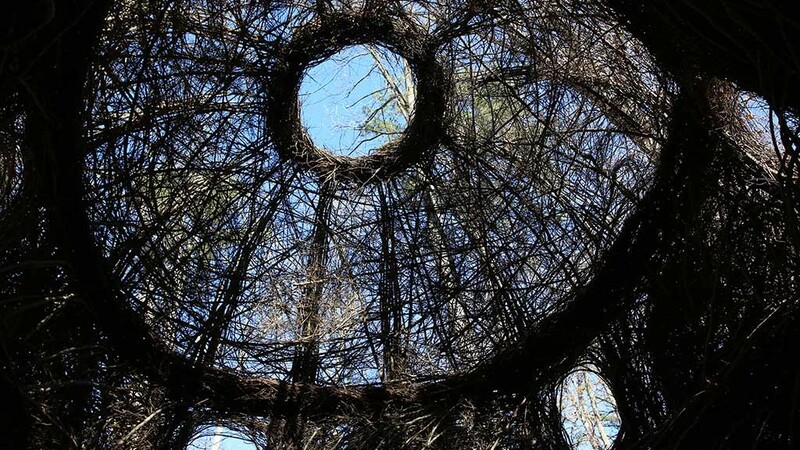 With the help of many volunteers working rain or shine, Dougherty weaves saplings into his site specific installations. 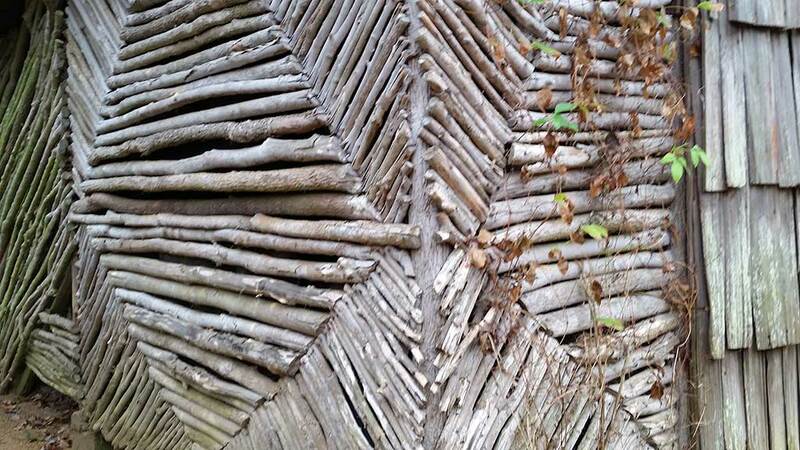 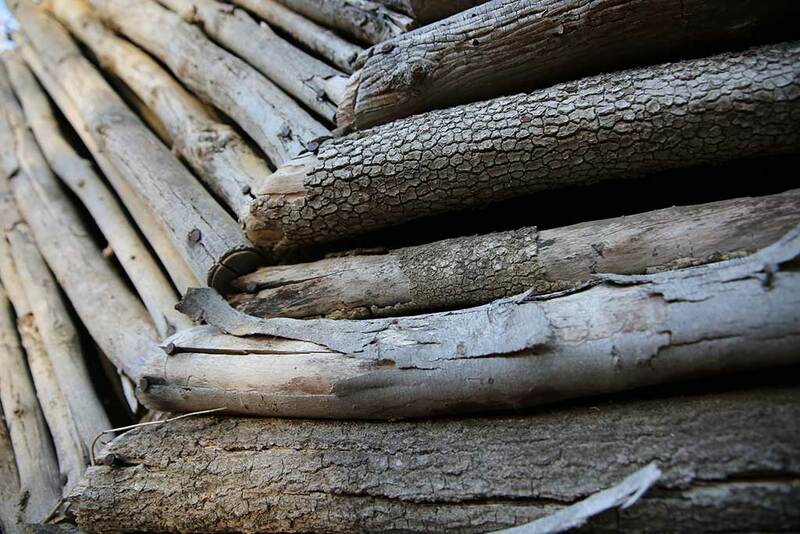 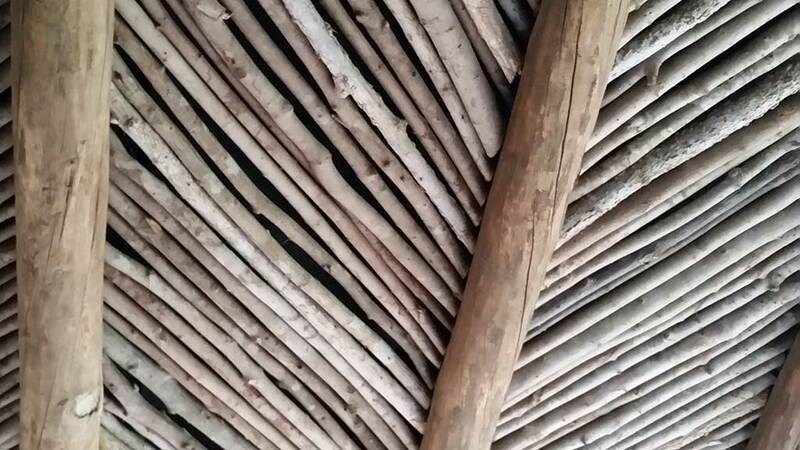 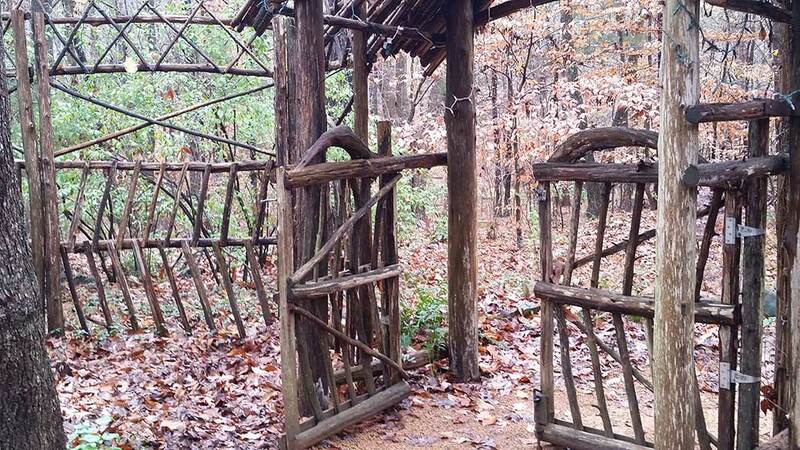 Dougherty’s obsession extends to his home, where he has created a fabulous fence, shed, and ceiling using saplings. 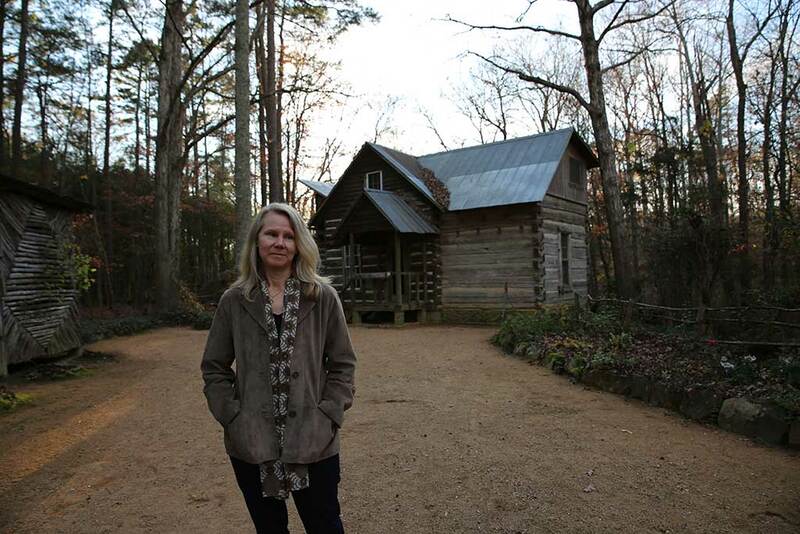 We also interviewed his wife, Linda Johnson Dougherty, Chief Curator at the North Carolina Museum of Art. 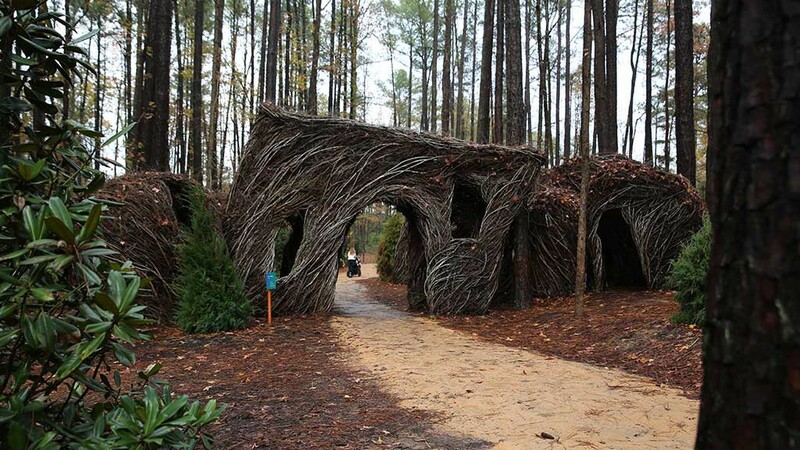 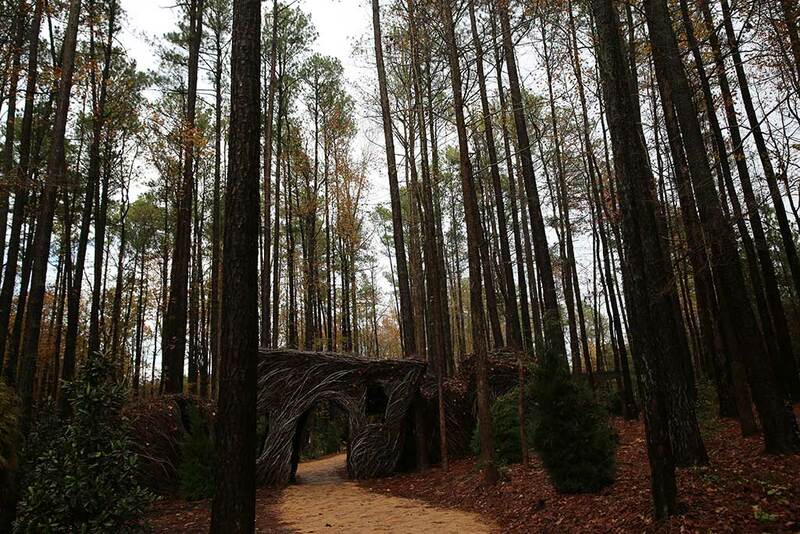 Below is Dougherty’s Sweetgum Thicket at the Museum of Life and Science in Durham, North Carolina, created in February 2015. 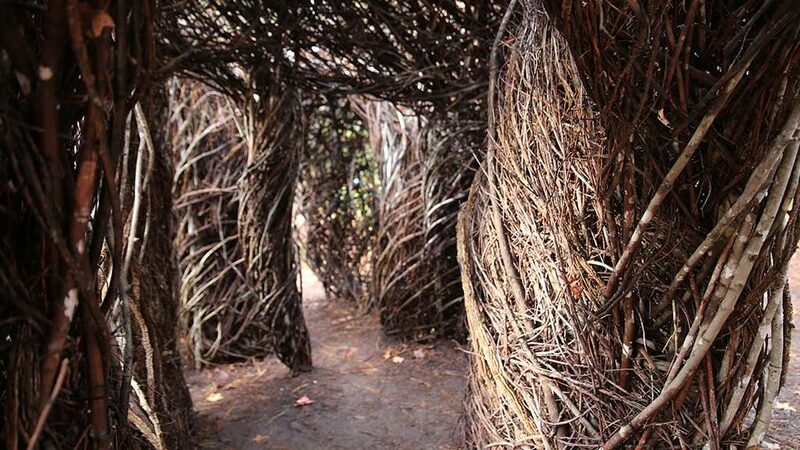 You can’t help but feel like a child inside his work.